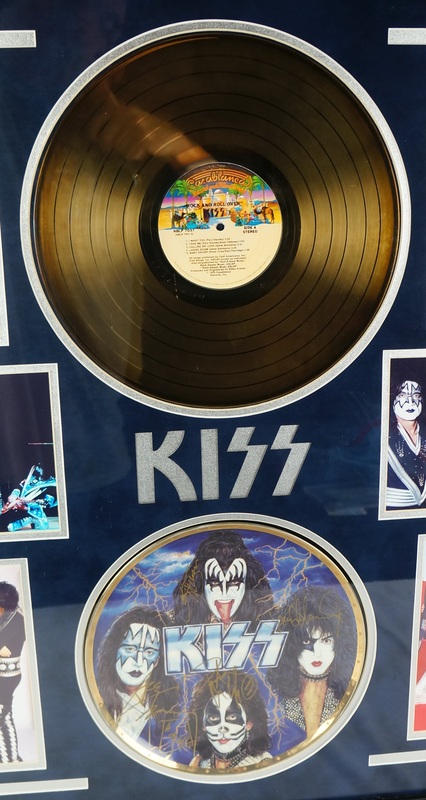 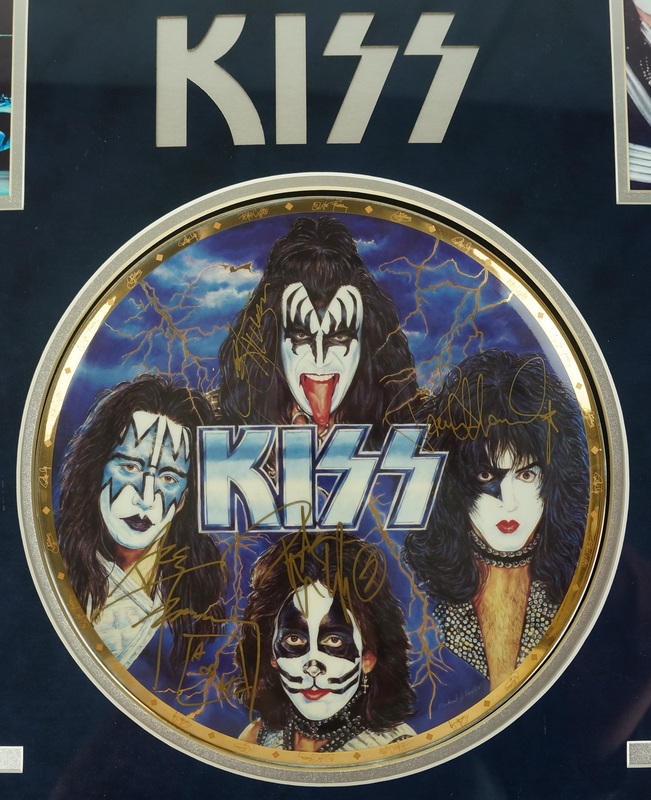 Stunning KISS display featuring a limited edition collector plate personally signed by each band member: Gene Simmons, Paul Stanley, Ace Frehley and Peter Criss as well as the album "Rock and Roll Over". 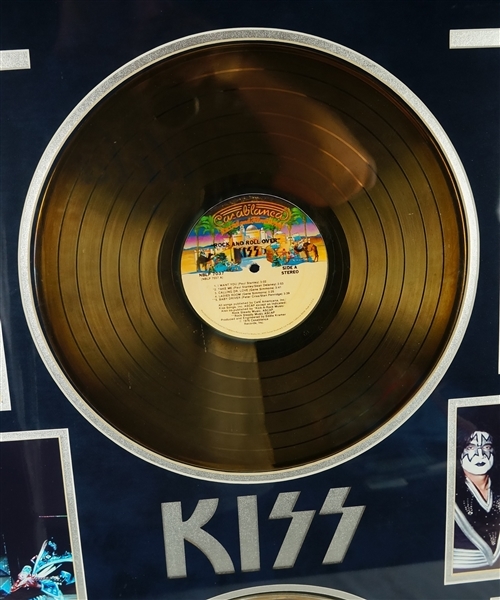 This album was the fifth studio album by Kiss, released in 1976. 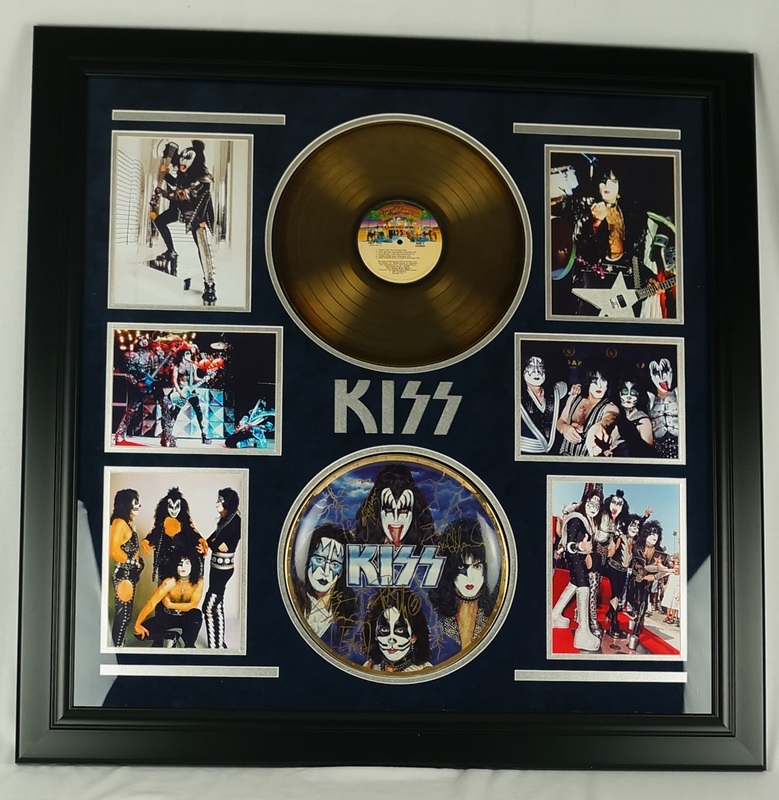 The album and plate are framed along with several concert photos making for an amazingly attractive display. KISS was formed in New York City in January 1973 by Paul Stanley, Gene Simmons, Peter Criss, and Ace Frehley. 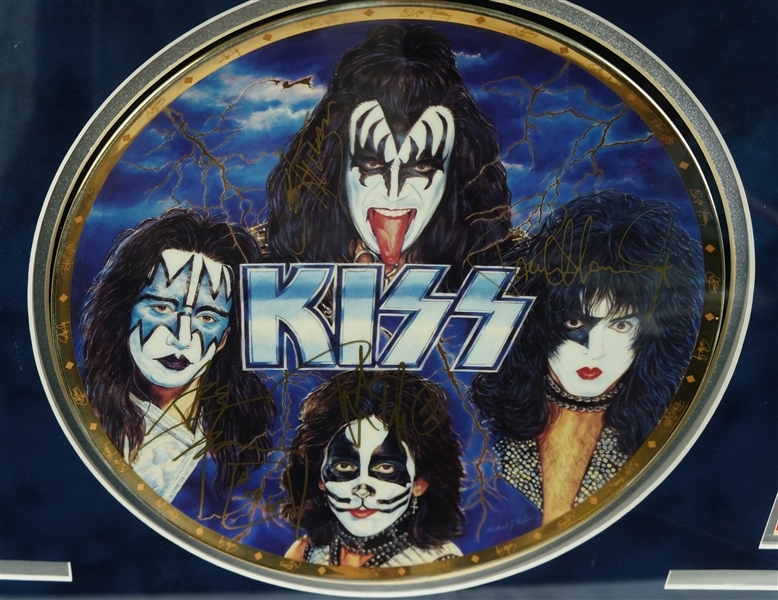 Well known for its members' face paint and stage outfits, the group rose to prominence in the mid-to-late 1970's. 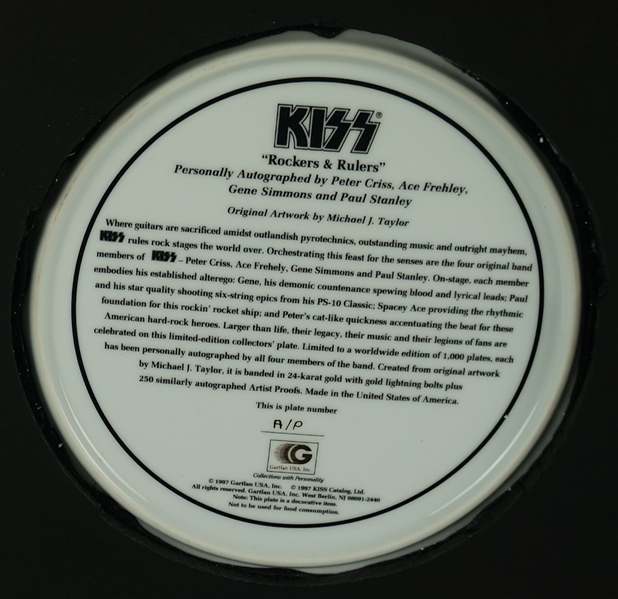 The plate is an Artist Proof, A/P, created by Gartlan in 1997.